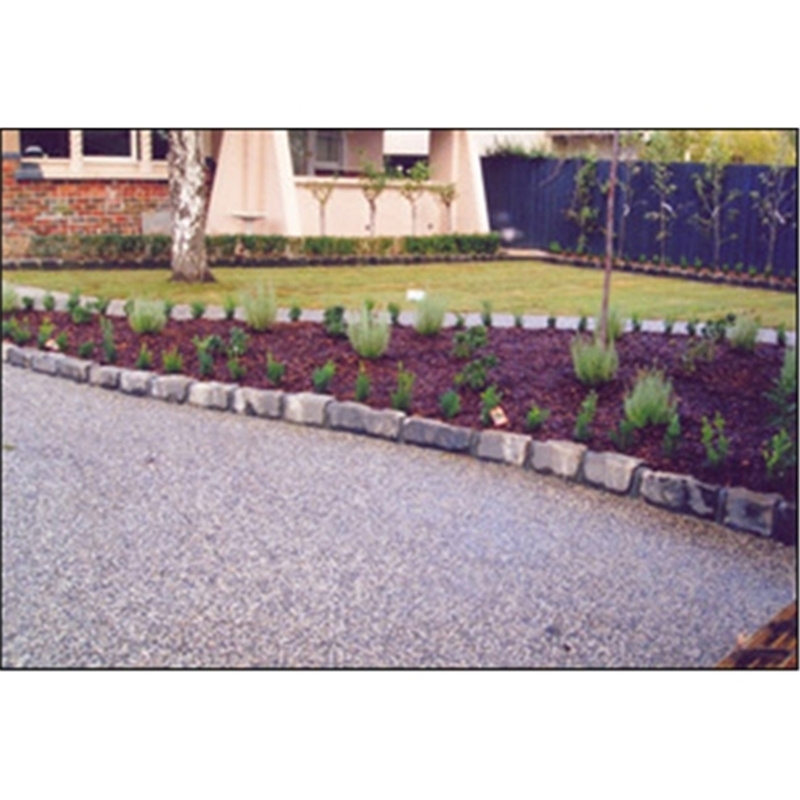 •Quality gravel to transform your garden, drive, path or pond. 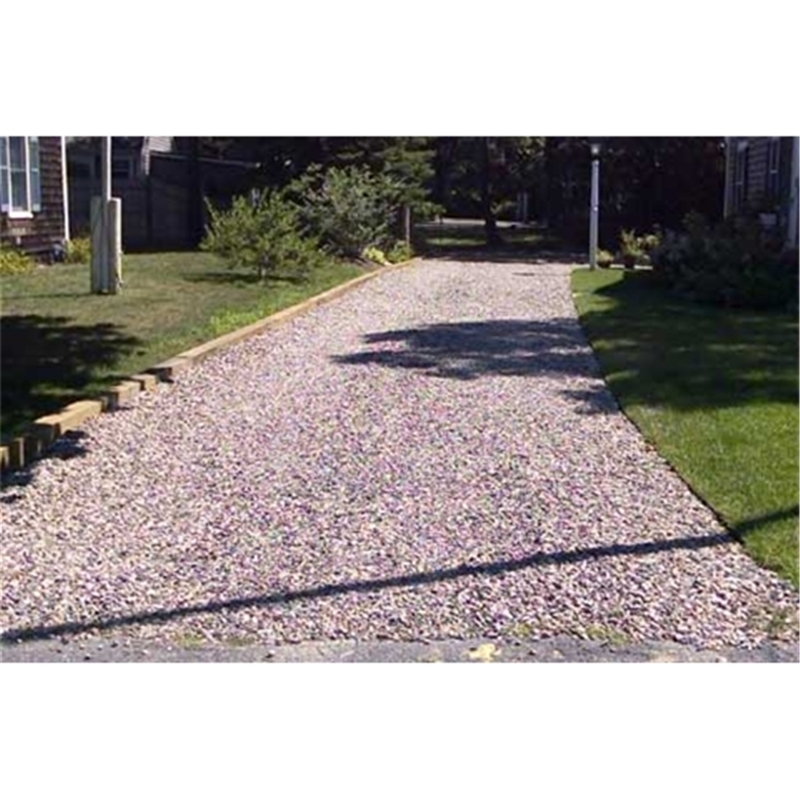 Gravel and aggregates are a great way to transform you garden, drive, path or pond. 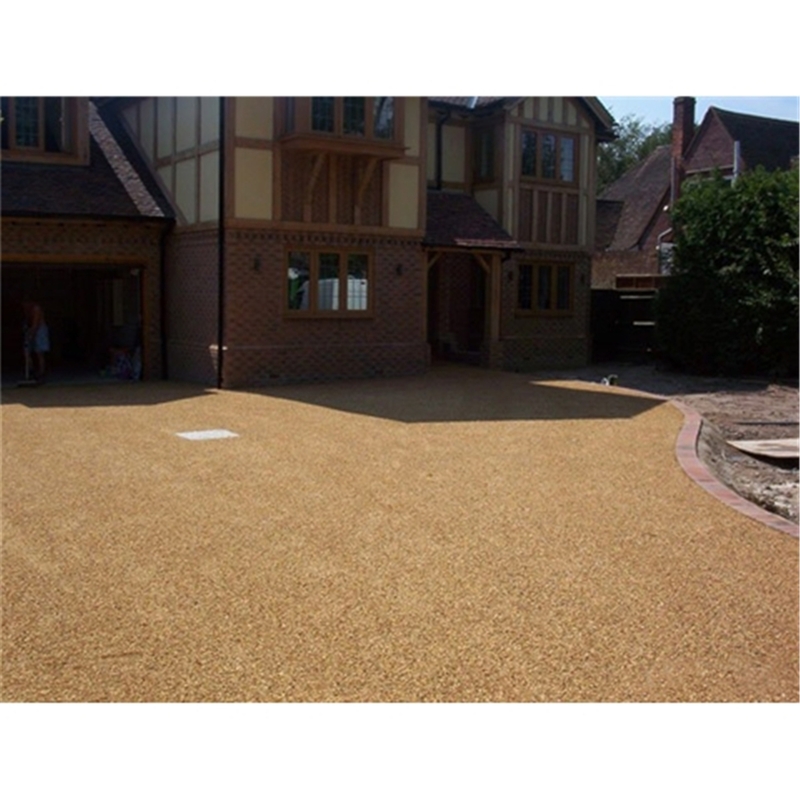 An easy way to add value to your property – choose from our wide range of different gravel options. 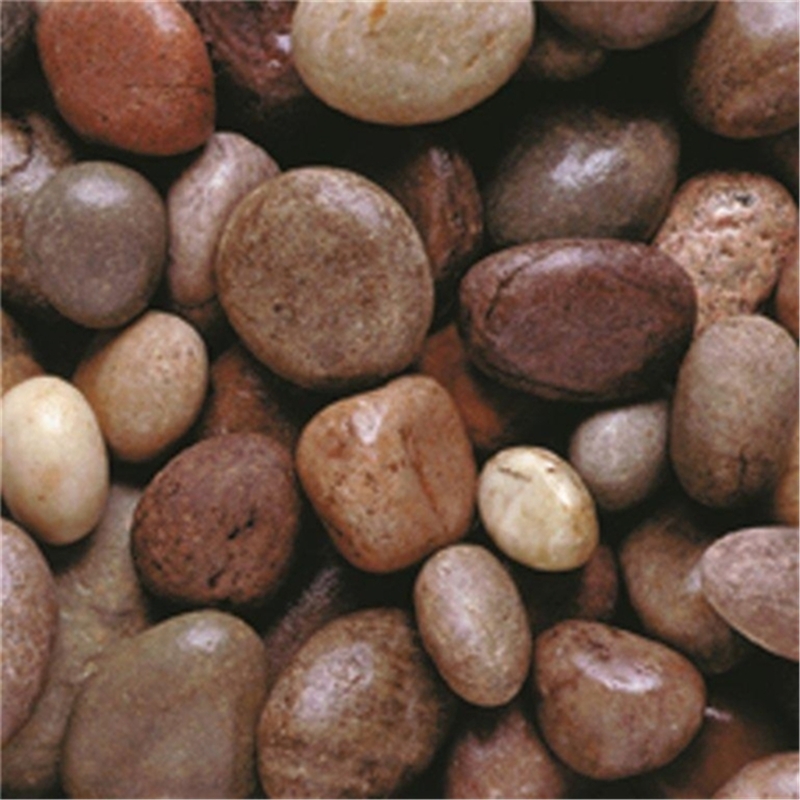 Gardeners can also use these aggregates and gravels as mulches. Used on top of soil they can aid moisture retention during the Summer period; providing insulation from temperature fluctuation. Lead time - typically 5 working days. All orders processed after 11am will be treated as processed next working day. 1. 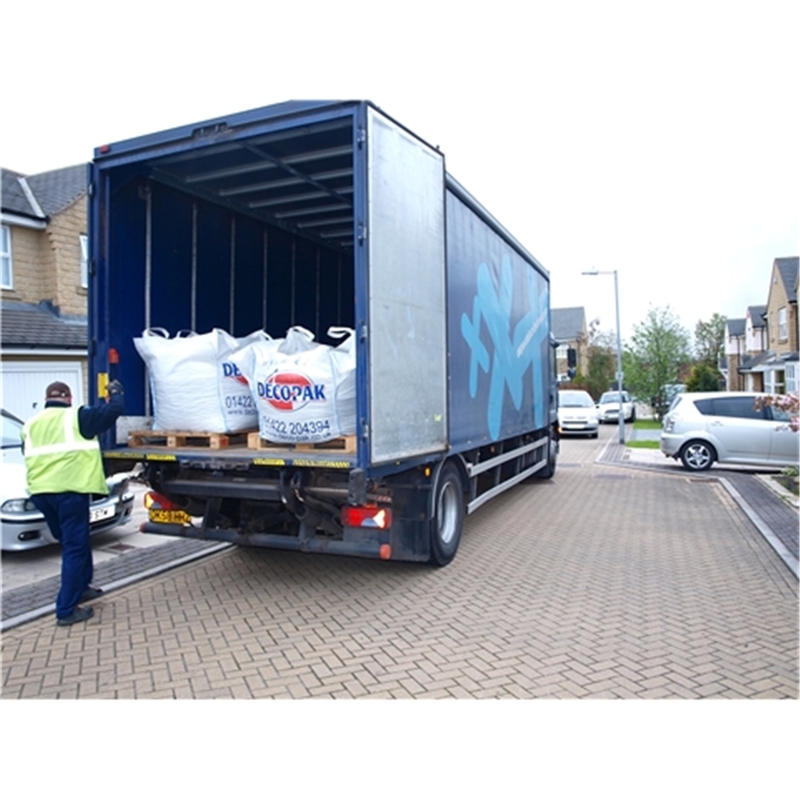 All deliveries are made to the nearest flat kerbside – please note the bulk bag is delivered on a pallet truck – the surface must be able to take a pallet truck i.e. will be unable to deliver onto grass, gravel – incline or uneven surface. 2. Access must be suitable to accommodate a rigid vehicle with tail lift facility. 3. Goods must be inspected before signing. 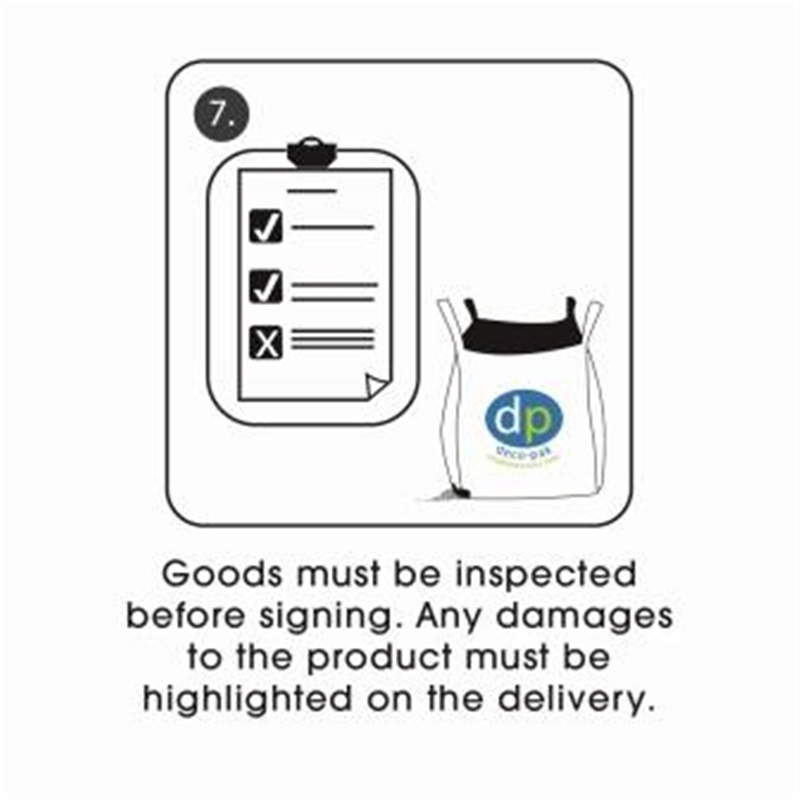 Any damages to the product must be highlighted on the delivery note. 4. 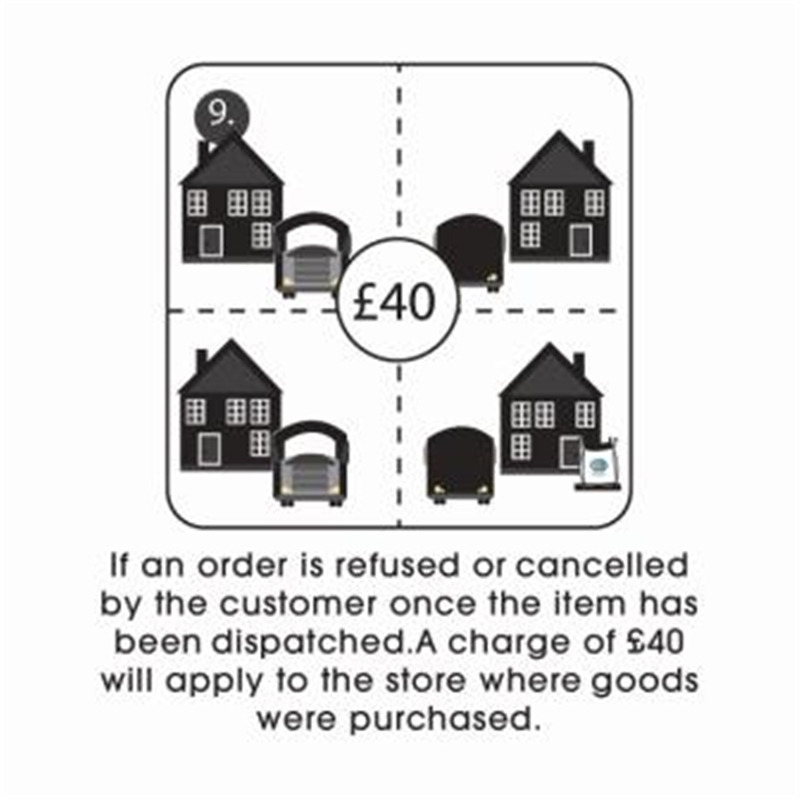 If an agreed delivery date is broken by the customer a re-delivery charge of £48 will be applied to the customer. Please note a £48 re-delivery charge will be deducted if you cancel your order after it has been shipped. 5. The customer is responsible for the disposable of the pallet and bulk bag after use. The company will make every effort to deliver products ordered on the agreed date, but, if for any reason the company is unable to deliver then no liability will fall to the company; whether in damages or otherwise, for delay of whole or any part of the goods ordered arising from any cause whatsoever. Delivery by the company shall be conditional upon access free from encumbrances and good roads being available to the company’s vehicles to the place of delivery. 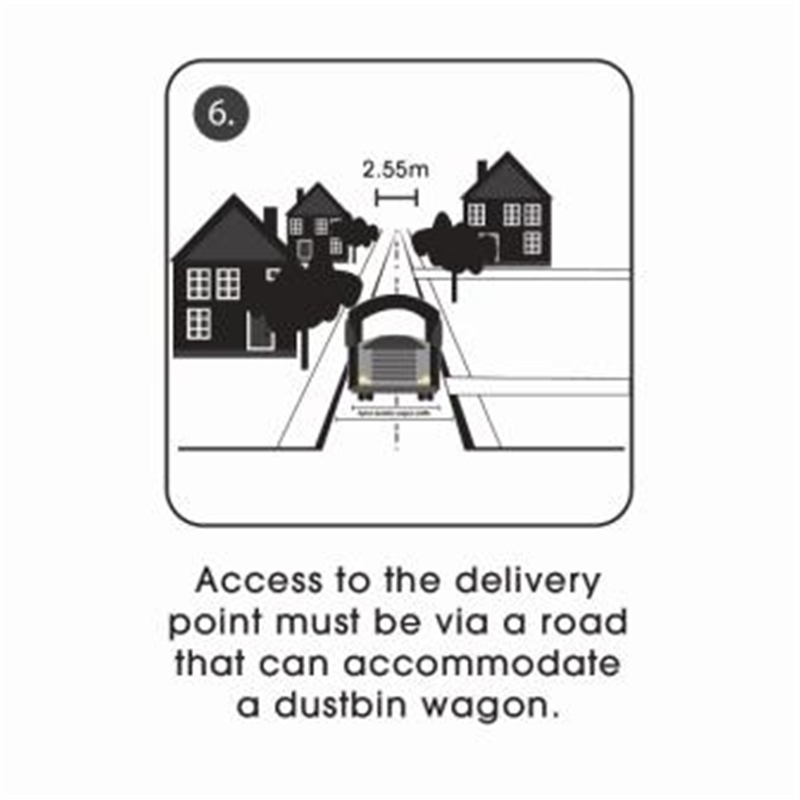 The customer understands that where able, our delivery driver will try and place products ordered on the customer's driveway and therefore agrees that their driveway is capable of withstanding the weight of a small tail lift truck and the purchased goods.If not, the customer agrees to accept responsibility to provide a suitable area free from access restrictions for the delivery to be left. 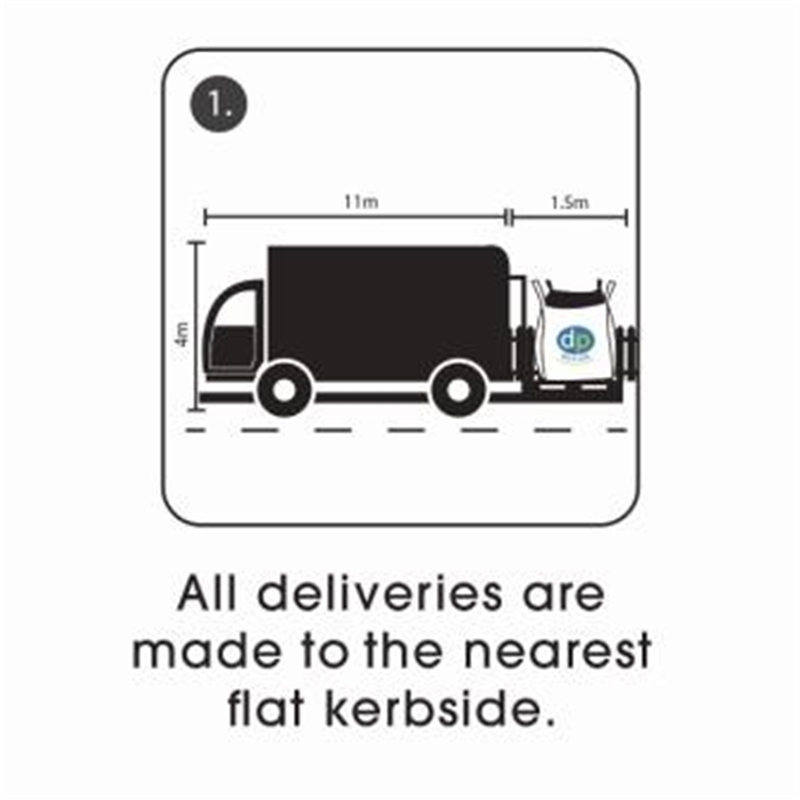 The customer also understands that the company can only guarantee a kerbside delivery and that ultimately they are happy for goods to be left kerbside, should the driver encounter any problems offloading onto a driveway or other specified area. If the courier cannot gain access to the delivery address then additional costs may be incurred and shall ultimately fall to the customer. Deliveries are made using large vehicles and it is the customer's responsibility to inform the company if there may be an access problem. Our delivery vehicles use tail lift offloading (for bulk bags or small bags) It must be emphasized that the delivery vehicle must be able to park in an area where the delivery is to be made. 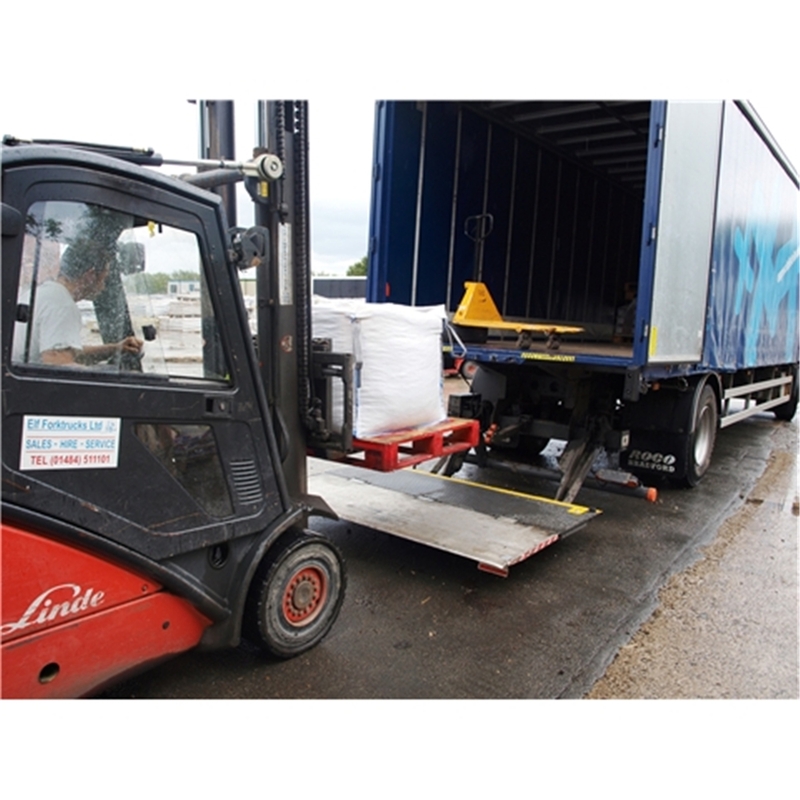 In the case of our tail lift (kerbside) offloading vehicle a pallet truck is then used to manoeuvre the items off the tail lift to the kerbside delivery point. 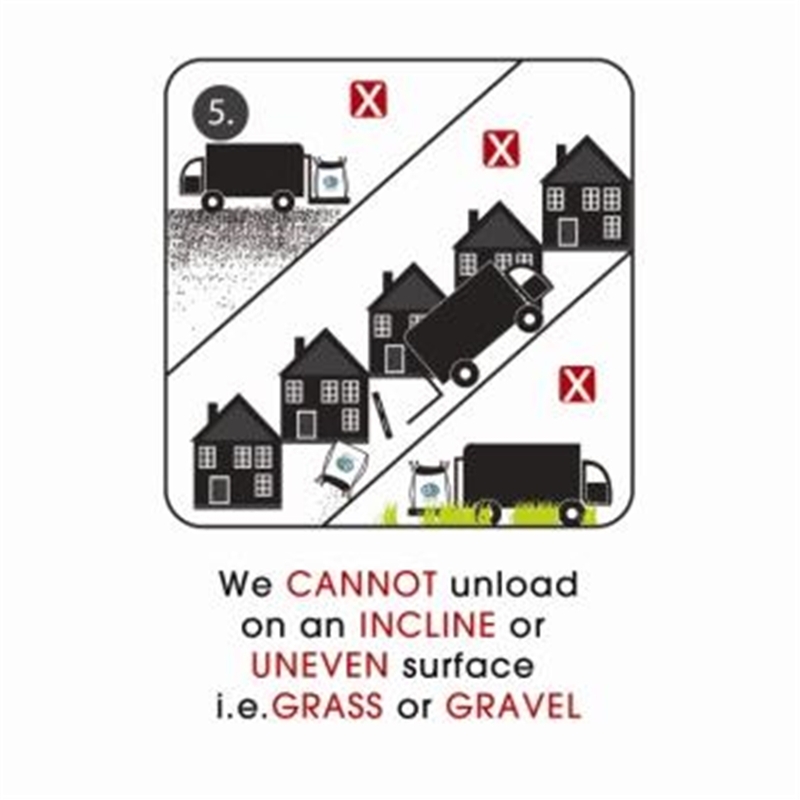 The customer understands that as kerbside deliveries are made using a manually manoeuvred pump truck, it is not possible to leave goods on uneven surfaces such as gravel, grass or on slopes of any kind. 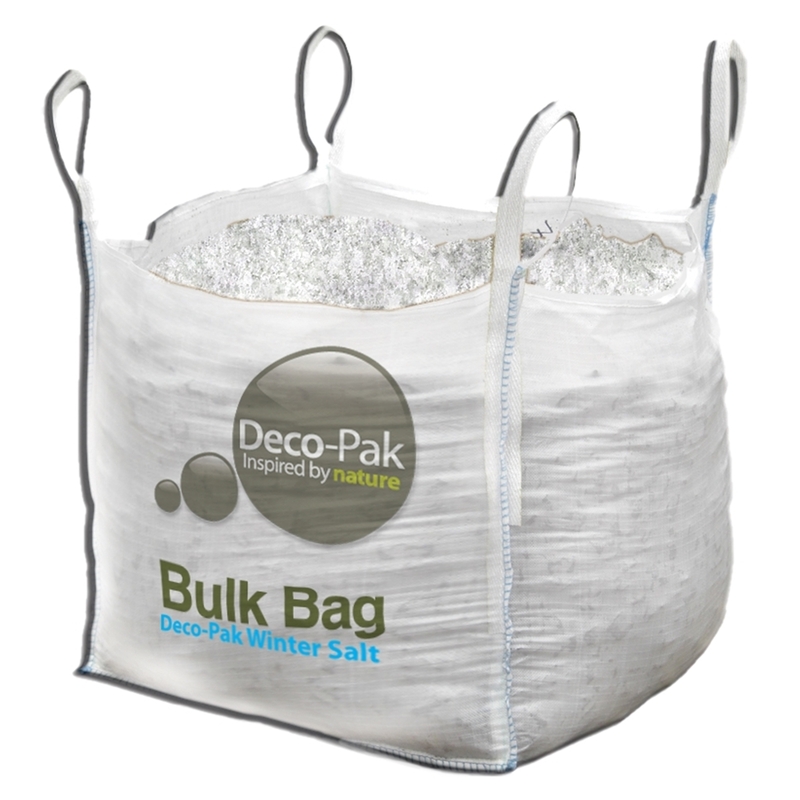 It is your responsibility in some areas of the UK to obtain a permit from your local council to have bulk bags left on the kerbside. The customer, or somebody appointed by the customer, should be at the delivery point to accept the delivery. If a certain method of delivery vehicle is required it is the customer’s responsibility to inform the company of these special requirements within 2 hours of the order being made. The company reserves the right to cancel or hold any orders that the company deems may suffer from potential delivery problems and the customer understands that delivery dates may be delayed in these instances. If products are out of stock then the company also reserve the right to cancel or hold orders in this situation. We cannot off load tail lifted products onto any incline or uneven surface i.e. gravel grass etc. Please note delivery charges may still apply. If the courier, or its agent cannot gain access to the delivery address then additional costs will be incurred of £48.00. Deliveries are made using large vehicles and it is the customer’s responsibility to inform us if there may be an access problem. In such cases that delivery, in the opinion of the courier is not possible, then we reserve the right to cancel the order. 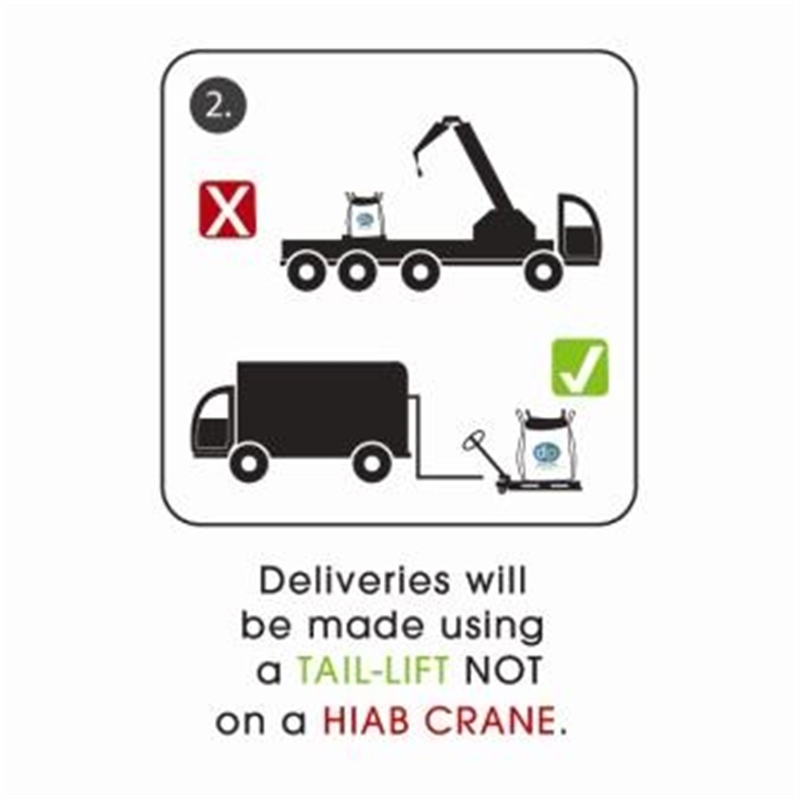 Vehicles use tail lift offloading, and it must be emphasized that the delivery vehicle must be able to park in an area where the delivery is to be made. A pallet truck is then used to manoeuvre the gravel off the tail lift to the kerbside delivery point. The customer, or somebody appointed by the customer, should be at the delivery point to accept the delivery. If a driver has to park in a red zone or double yellows, the driver will only make delivery if the customer is liable for covering any parking fines that may occur. Furthermore, the courier is not permitted and will not drop products in these restricted spots. Please note delivery charges may still apply. Typical delivery is 5 – 10 working days but we do aim to deliver a bit quicker, subject to to certain post code areas (please refer to each product for an estimated delivery date, please note this is not a confirmed date). Orders are placed onto our internal system which will feed your order through to a delivery scheduler who will contact you to advise you of a suitable delivery date. This call is usually well within our lead times with you receiving a call from the transport team 24/48 hours prior to your delivery. If you have not been contacted by our delivery team within 10 working days after your have placed your order please email us. Delivery is between the hours of 7am – 7pm Mon-Fri. We are unable to specify a delivery time during the day of delivery. Our couriers deliver between the hours of 7am – 7pm.